Items we love to have! Mattress and Box Spring [ANY CONDITION, BUT MUST BE DRY] -Twin, Full and Queen King mattress & box springs. 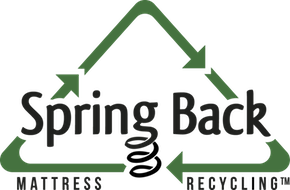 A $25 RECYCLING FEE PER PIECE WILL BE COLLECTED AT TIME OF PICK UP FOR MATTRESSES AND BOX SPRINGS. NWFB WILL TREAT AND RE-PURPOSE OR RECYCLE THE MATTRESSES KEEPING THEM OUT OF THE LANDFILL. Mattresses and Box springs can be dropped off at the furniture bank for a $20 fee. Twin, Full & Queen- complete sets only (headboard, footboard & rails). We do not accept any item that is stained, ripped and not in good condition. We do not accept any item that is stained, ripped and/or not in good condition. Not sure if you should donate an item? Ask yourself if you would still use it in your own home or if you would feel comfortable giving it to a friend or family member.